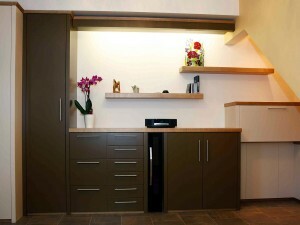 Description: We were asked to design and build some furniture that would solve a storage and study problem. 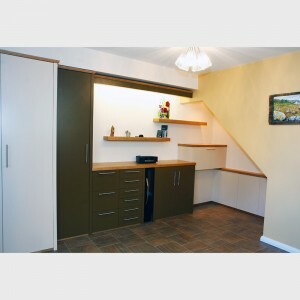 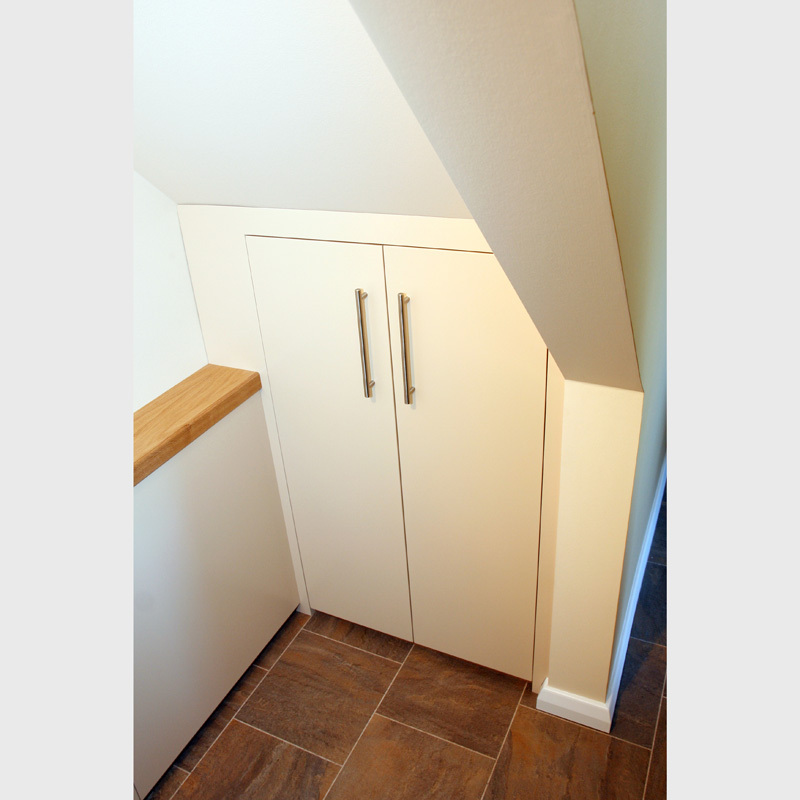 Our clients wanted storage in their dining room and also needed office space for working from home. 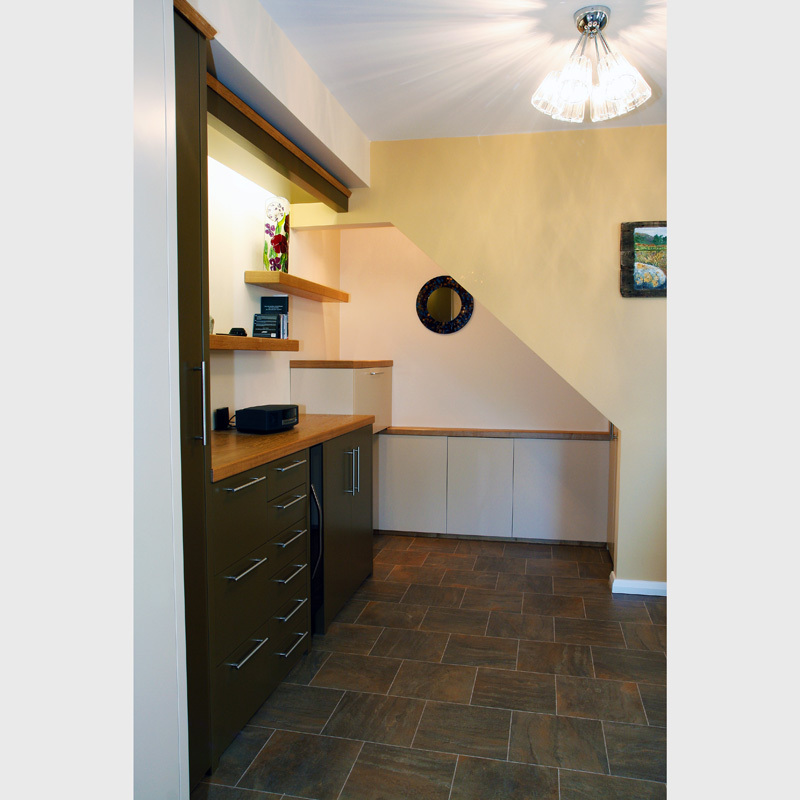 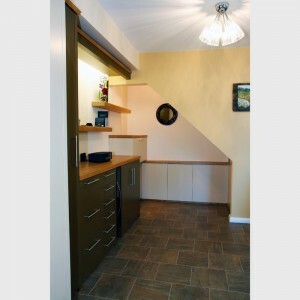 Our solution was to design under stair storage with a flap down desk, floating shelves, a set of drawers, wardrobe with hanging and sheving. 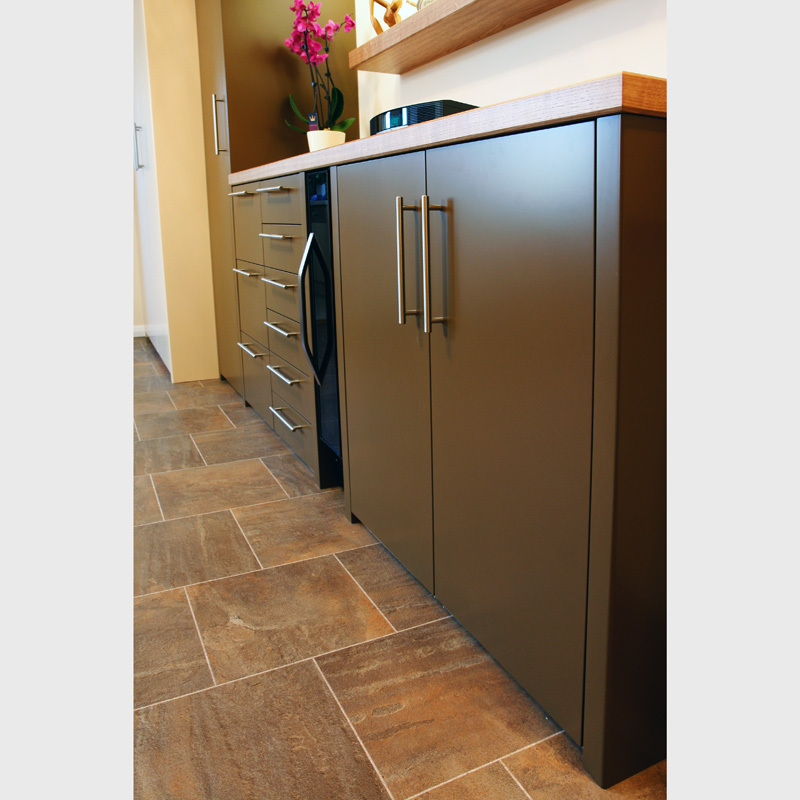 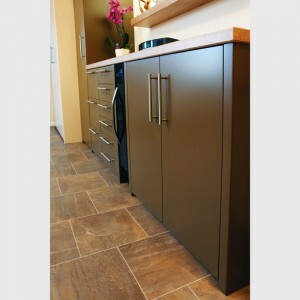 Materials: European Oak with a painted and lacquered finish.